A powerful case statement always begins with a definition of need. As I go through each dimension of the need definition, try to think about your own project and how you have defined need for your constituents. Back in graduate school, I was taught that all community organization projects begin with a “felt need.” My professors were correct, of course, but going beyond a felt need to actually assessing and defining need is really hard. 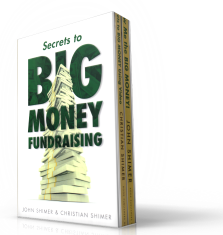 It was the field of professional fundraising that taught me the basic elements of the need definition. In the need definition as presented here, I include two additional dimensions to the three I offered in the book. You’ll quickly see that these blogs are a much better place to expand your fundraising education than the book I wrote about African Hospitality Institute. Here is where I hope to be as detailed as possible in laying out my secrets to success. If you are determined to get your own efforts noticed, then setting your standards to mirror the ones I teach here will give you a powerful edge. Let’s explore the first of these need-definition elements. Accurate assessment of a need has to be established using both method and authority. “How did you assess this need?” is the first question on the mind of a prospective donor. No shooting-from-the-hip answer will ever be acceptable. Are you an expert and do you have the credentials to prove it? Great! That’s a good starting point. But did you use well-accepted methods and metrics to make your assessment and present your findings? Even when you are not an expert, you can strengthen your need definition with the well-documented work of other experts. In fact, you have to do this. The more scholarly you are in laying out your need assessment, the more respect you earn right up front from the audiences you are trying to influence. Multiple authorities weighing in on the measurement and assessment of a real need are always helpful to your case. Don’t think you have to create a long-winded narrative to make your presentation effective. Actually, the opposite is true. Place the long-winded stuff in an appendix. Just get the findings and the authorities and methodologies on the table in your narrative.